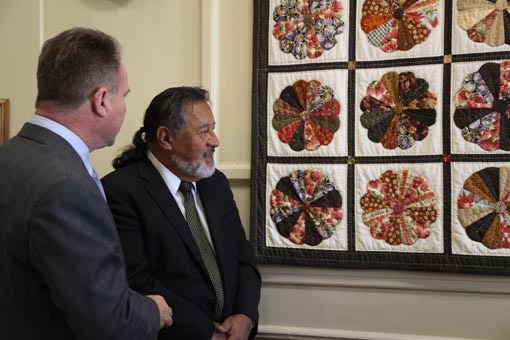 I hope you get to read this month’s story about the arrival of the Dresden Plate Quilt from Auckland Region Women’s Corrections Facility to Parliament’s permanent art collection. Actually, it’s not so much an arrival but a return because this quilt featured in Arts Access Aotearoa’s exhibition of prisoner art that prison staff around the country helped to provide in January. An information panel will accompany the Dresden Plate Quilt whenever it is hanging on the walls of Parliament. This means that tourists and other visitors to Parliament can learn about the value of prisoners engaging with art. This quilt came about through the long-term commitment of community volunteers in the Quilt-Stitch Group who teach quilting to prisoners in Auckland Region Women’s Corrections Facility. 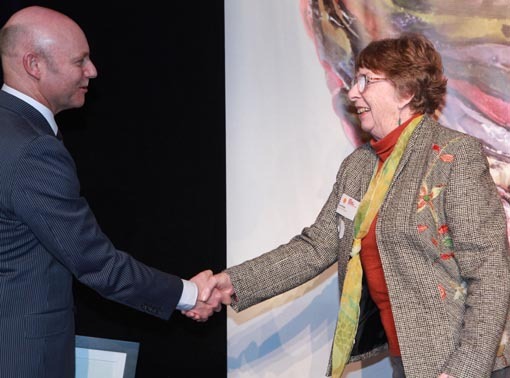 There’s a similar group of dedicated quilters at Arohata Prison called the Shut-In Stitchers who have been providing classes for 20 years – and who received a Highly Commended citation in this year’s Big ‘A’ Prison Arts Community Partnership Award. The skills involved in learning this traditional craft not only result in something beautiful. They are also highly educational, engaging the women in maths and measurements, language and thinking, design and colour, and goal setting and perseverance to complete a task. Along with volunteer groups like the Auckland and Wellington quilters, opportunities are opened up when community art studios or marae-based programmes work within a prison and follow through with prisoners on release. Investing in prisoners’ skill development while they are in prison is essential but another part of the equation is needed. For prisoners returning to the community we need to be ready to direct their interests (for example, in carving, painting or design) to places that can accommodate them and enable them to continue with their creative endeavours without stigma. Community arts organisations such as Vincents Art Workshop in Wellington are examples of what’s available for prisoner reintegration into the community. For the past seven months, tutors from Vincents have been engaged with women at Arohata Prison on a mural project. You can read two more entries to this diary. As well as learning the skills of design, application, co-operation and goal setting while in prison, these women know that they can continue to work at Vincents when they are released. In an even more structured programme, Waihopai Rūnaka of Invercargill runs two tikanga programmes: one inside the prison and the other in the community on Murihiku Marae when prisoners have been released. The rūnaka was first contracted by Corrections to deliver a tikanga programme in the community in 2001. Ten years later, a prison-based programme was introduced to Invercargill Prison, supported by the rūnaka’s kaumātua and whānau. 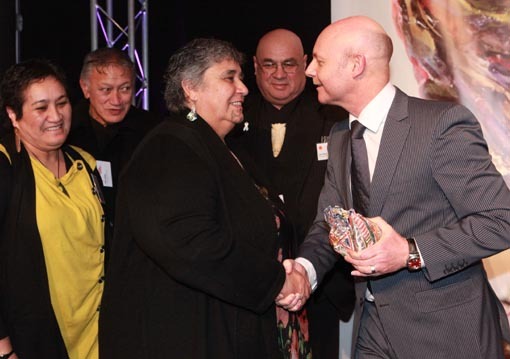 It’s this commitment that was acknowledged when Waihopai Rūnaka was presented this year’s Big ‘A’ Prison Arts Community Partnership Award by Ray Smith, Chief Executive, Department of Corrections. Both examples help rebuild identity and skill development before release. Of vital importance, however, they provide follow-up support and guidance in a community setting. These community models of support for prisoners post release can help reduce the number of prisoners that re-offend. It’s a model that uses creativity and new skills to activate employment opportunities, further education and more training, and better living choices. Original generation time 1.3955 seconds. Cache Loaded in: 0.0441 seconds.